When I talk about being “radical,” I don’t mean holding on to an extreme ideological viewpoint, nor do I mean being totally awesome from an Eighties standpoint. The concept of something “radical” that I’m talking about here is based on another definition of the word: relating to or affecting the fundamental nature of something; far-reaching or thorough. An example of the word used here is, “a radical overhaul of the existing regulatory framework.” In this meaning, it is complete. Total. One hundred percent, pure, unadulterated, non-contaminated being. Recently, I had the opportunity to attend a talk given by Fleet Maul, a leading teacher, speaker, and coach in the field of mindfulness. 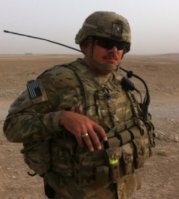 The concept of mindfulness, in and of itself, is something that has been written about here on the Head Space and Timing blog, with veteran voice Jason Juardo explaining the benefits of mindfulness on the mental health and wellbeing of veterans. During his talk, Fleet kept mentioning the word “radical,” in various different contexts. Radical commitment. Radical responsibility. His use of the word caused me to think: how often do we say that we’re committed to something, but we’re really not fully committed? How often do we kind of take responsibility for something, but not really? Perhaps, if we find ourselves in the middle of conflict, when we’re twisted up inside or find our relationships twisted up outside, we may find it helpful to consider how we can apply the concept of practicing this in our own lives. This is a central concept to a therapeutic modality called Dialectical Behavior Therapy (DBT), developed by Marsha Linehan. I have found that teaching DBT skills is especially helpful to veterans who have having challenges controlling their emotions, have conflict in their interpersonal relationships, and have difficulty tolerating distress. The concept of mindfulness is also a central part of the modality, and a key factor that is woven throughout the entire program. Radical acceptance is actually reality acknowledgement, and is beneficial to control our thoughts, behaviors, and emotions during those times when we want reality to be something other than what it is. Reality is as it is (the facts about the past and the present are the facts, even if you don’t like them). There are limitations on the future for everyone (but only realistic limitations need to be accepted). Everything has a cause (including events and situations that cause you pain and suffering). Life can be worth living even with painful events in it. In this application, the “complete and total” concept of the word radical is applied to our accepting reality as it is, not as we want it to be. We find ourselves saying that things “should” be a certain way, when they’re obviously not. Many veterans that I work with wish they were back in the military; many times, it’s not possible or advisable. Wanting it to be different doesn’t make it so. I have failed to practice radical acceptance many times in my life; I hurt myself on a jump in 2012. I failed to accept the fact that I was actually hurt, and jumped twice more after that (one was into a lake, so that was kind of okay). I did injury myself even more, though. Failing to radically accept reality can get us into a whole bunch of trouble. I work with veterans who are in a veteran court program, focusing on treatment for experiences they had while they were in the service that may have contributed to their involvement in the criminal justice system. As with any program, however, each individual has a different level of adherence or compliance, and that usually catches up with them. Not practicing radical adherence to anything means saying one thing, and thinking another. “Yes, I will do what you ask” is what you say, when “Well, I do my best to do what they want” or “Yeah, I’m going to do as much as I need to” is what you think. Radical adherence is not confined to this court program, but any type of program or relationship. I practice radical adherence to my wedding vows in my marriage. An example of not practicing radical adherence, for many service members, is when we committed to “obeying the orders of the officers appointed over me.” Did we always really do that? I hear you, “We’re obligated not to follow illegal orders, though!” That’s right…but if the order was to go over to the smoking area and pick up cigarette butts, that wasn’t an illegal order. It was just something you didn’t want to do, and didn’t feel like you should do because a) you don’t smoke and b) you don’t want to. It’s not an “illegal” order, it was an “unfair” order in your eyes, and you “shouldn’t” have to do it (see radical acceptance above). Practicing radical adherence, like Maul’s radical commitment, can reduce ambiguity. When I’m talking about radical honesty, I’m not talking about being real with someone about how that outfit looks on them, or what you really think of their facial hair. I’m talking about completely and totally honest with yourself and those around you on the really important things that impact your life and those you care about. Being radically honest about the addictions in your life. Being totally, completely, and utterly committed to not lying, equivocating, beating around the bush, pulling one over on someone (or yourself), Being, or any other way of not focusing on the complete and total truth. This is hard, especially when we apply it to ourselves. We’re not completely honest about the influence that those we’re hanging out with has on us. We’re not honest with ourselves about the impact of the fast food we shove down our throat, our lack of exercise, or the stuff we watch on the internet. We call it “entertainment” when it’s often negative, disturbing, and unproductive. Once we start practicing radical honesty with ourselves, we may find it easer to practice radical honesty with others. I can hear you now: “this ‘radical’ stuff doesn’t sound like a whole lot of fun.” It means eating healthy, cutting back on my drinking, stop fooling around, and a whole bunch of others stuff that I don’t want to do (see radical adherence above). But how great do you think it would feel if we experience radical joy? Complete, 100%, unadulterated joy? We get in our own way with this sometimes. When I’m hiking in the mountains, my mind is a thousand miles away on a hundred different things. How different would it be if I just stopped and totally focused on the immediate moment and allow myself to feel complete joy? Complete gratitude? Whatever you’re doing that you enjoy. On the range. Fishing on the lake. At the gym. On the golf course. The enjoyment we feel is often contaminated by our worries about what’s going to happen tomorrow, or our fears about what happened yesterday. Why allow them to get in the way? Focus on the joy you find in the moment you are in. Look at a sunrise. Listen to the wind chimes. Play with your kids. Allow yourself to feel pure, uncontaminated joy. How great would that be? And, back to the downer stuff. But is it really? When we experience loss in our lives…and we always have, and always will…the grief that we feel is often covered up by other things. Keeping busy and being task-oriented…that’s the way I deal with it. DOING something is often easier that FEELING something. The challenge, however, is that the grief is always going to be there. It’s part of the process of loss, and part of the process of ultimate healing. When you feel grief, feel it. Don’t deny it. Don’t shove it out of the way, pretend it doesn’t exist, or ignore it. Don’t contaminate it with judgement, or anger, or bitterness. Just acknowledge it. Recognize it. Allow yourself to feel it, and allow it to pass, because it eventually will. So there you have it, five ways to practice the concept of radical anything. What did I miss? What do you agree with, or what don’t you agree with? It’s okay, I radically accept that not everything I write is going to resonate with everyone, but I’d certainly love to hear your thoughts. Reply in the comments below, or reach out to let me know what you think. Thanks for reading. Radical honesty resonated with me and I would like to read your thoughts on radical change, if you would write on that topic, thanks. 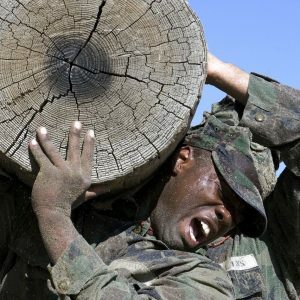 Pingback:Veterans, How Do You Deal with Insurmountable Obstacles?